Looking up and looking down: welcome to San Francisco. My sister took this photo on a lunch-time walk. Last week I mentioned the impressive 41% grade of Bradford Street, above the Alemany farmers market. However the steepest hills of San Francisco begin where the road ends. 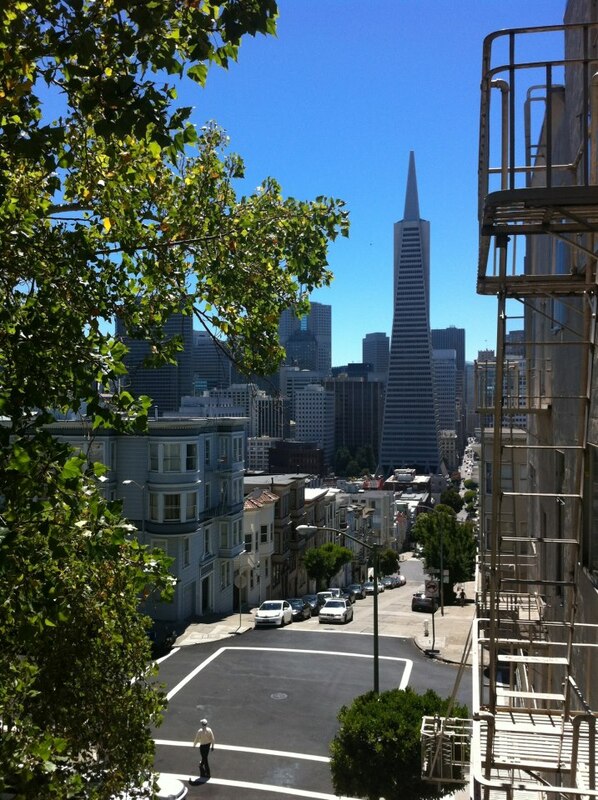 Some San Francisco hills (and neighborhoods), like this one, are only accessible on foot, by staircase. But what beautiful hills they are.